(Nanowerk News) Pin-sharp projections, light that’s whiter than white, varnishes that make sounds if the temperature changes: at nano tech 2010 in Tokyo, Fraunhofer researchers present nanotechnology that is a veritable feast for the senses. A mystical glow emanates from the display case. A white light appears out of nowhere. And a light source is invisible – at least at first glance. Only upon close examination does the source of the apparently supernatural illumination become visible: a light diode, smaller than a pinhead, passes through thousands of infinitesimal lens structures measuring only a few hundred nanometers, et voilà: beaming white light. “For a long time, producing white light with no peripheral color effects was an almost unsolvable technical problem,” explains Dr. Michael Popall of the Fraunhofer Institute for Silicate Research ISC in Wurzburg. “White light is produced by mixing the complementary colors red, green and blue. Undesirable refraction occurs with conventional beamer technology, resulting in colored streaks on the periphery of the projection.” This technology – which researchers will present from February 17 to 19 at nano tech 2010 in Tokyo, Hall 3.03 Booth F-14-1 – delivers not only brilliant color, but also pure white: “The tiniest of red, blue and green light diodes on the most condensed space produce the light, which is then bundled and homogenized by the nano-structured ORMOCER® optics,” illustrates Popall, who was deeply involved in the development of the material. “ORMOCER®s are an ideal material for the production of microoptics,” concludes the researcher. “They are not only superior light conductors, but are also easy to process – not as brittle as glass, and not as pliant as polymers.” In fact, ORMOCER®s are a hybrid of inorganic and organic components that are networked at the molecular level. This material makes it possible to realize things inconceivable even a couple of years ago: Ultra-flat and ultra-small optics for micro-cameras or beamers that fit into a pants pocket. The design of the new ORMOCER® optics, incidentally, was developed by experts at the Fraunhofer Institute for Applied Optics and Precision Engineering IOF in Jena. Popall: “Thanks to close collaboration among chemists at ISC and the physicists and engineers at IOF, we have succeeded in developing ORMOCER® tandem arrays with two-sided and symmetrically arranged micro-lens configurations, which allow the light from light diodes to be projected with pinpoint accuracy and without refraction errors.” The new technology has meanwhile reached the verge of market introduction. Nanotechnology not only puts an entirely new dimension before the eye, it also makes audible things that no ear could ever perceive before: like changes in temperature. A new varnish developed by researchers at the Fraunhofer Institute for Engineering and Automation IPA ensures that surfaces emit sound if they become warmer or cool off. The trick: carbon nano-tubes embedded in the varnish that conduct electricity: If a surface is coated with this varnish, then it can be heated up by application of an electric current. This change in temperature is audible because the warming up surface makes the air around it vibrate. “And this is only one of a myriad of conceivable innovative applications. The surface coating is likewise capable of heating large surfaces and surfaces of complex shape, and in the future, conceivably it can be used as a multifunctional coating for heating, or as a resistance sensor, or as a coating for color displays,” says Ivica Kolaric, head of department at IPA. “The interdisciplinary nature of Fraunhofer is its strength,” concludes Popall. The 59 institutes that collaborate within the Fraunhofer Gesellschaft cover a truly broad spectrum – from materials to technology and design, through to processes and the resulting applications. 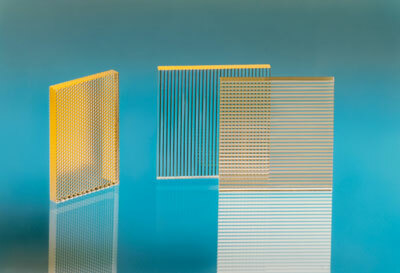 At nano tech 2010 in Tokyo, ISC presents an array of optical materials, ranging from glasses to ORMOCER®s and their nanotechnology, to plastics. IOF contributes high-precision optical design and microtechnology, the Fraunhofer Institute for Electron Beam and Plasma Technology FEP has physical coating technologies. The Fraunhofer Institute for Ceramic Technologies and Systems IKTS in Dresden will additionally display manufacturing processes, such as pressing glass optics or coating with the use of nanolithography. Lastly, IPA will exhibit its prowess with carbon nano-tubes.